I’m not normally one to cede control. No one shops for me. I pick my own clothes. And I don’t normally just pay someone to give me random stuff. But starting now, I will make an exception when it comes to one thing. Random gear. You might first think that a box of random gear arriving on your porch each month seems just too—random. What’s inside? Do I need it? Is the quality good? 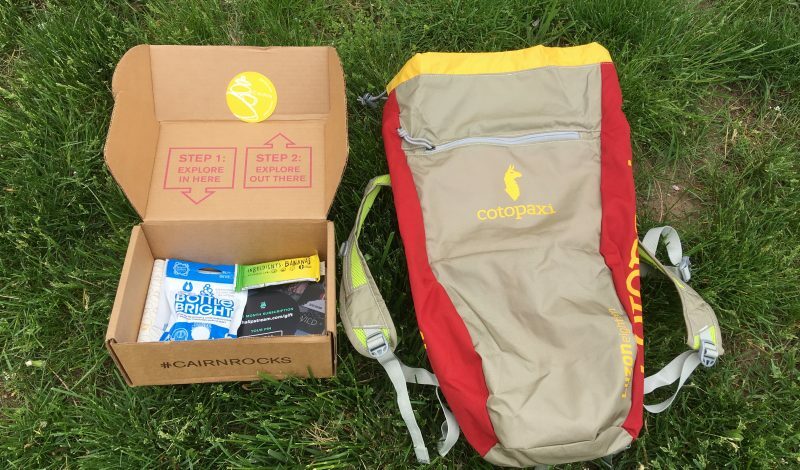 I had the same questions when Cairn first approached us and asked if we wanted to try it’s gear delivery service—a box of new, cutting edge products curated by Cairn’s gearheads to be delivered every month for a modest monthly subscription. You can subscribe monthly for the standard box or quarterly for the blingier Obsidian option. While I waited for the first shipment, my curiosity started growing. What was going to be inside? When the box arrived, I was honestly excited. It’s like getting birthday presents every month of the year. And beyond the simple joy of rummaging around a box full of new swag, I learned a few things about the simple joy of random gear. We may not think to go out and buy ourselves a hammock, but since one just showed up in a recent Cairn Box delivery—in the pack it goes. And suddenly, I discovered I really, really like hammock camping. Being a frugal lightweight nerd, I may never have considered a backcountry hammock. Now, I’m seriously hooked, and depending on the environment, I may have saved a few ounces. I also love how Cairn keeps me up on what is new. If you’re someone who has been playing in the great outdoors for decades you’ve probably noticed how gear is constantly improving. The new version of something could be lighter or more comfortable or more durable. Sure, that old version you’ve been using for years may still work, but it might be time for something new and having it show up unannounced on your doorstep is a pretty good incentive to give it a try because odds are you’re not about to go buy a new one if the one you’re using still gets the job done. And, if something arrives that doesn’t suit your way of doing something, you just became someone’s best friend by gifting the new one to them. Take “double duty” gear. 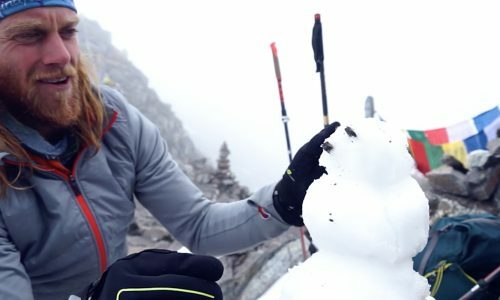 A lot of the gear Cairn sends is smaller items that are smartly designed, like one object built to perform the task of two or more items you’re currently lugging around on your trips. Consider the spork, the tent stake that works as a trowel, the trekking poles that work as tent poles (trekking poles have only shown up in Cairn’s premium Obsidian box). 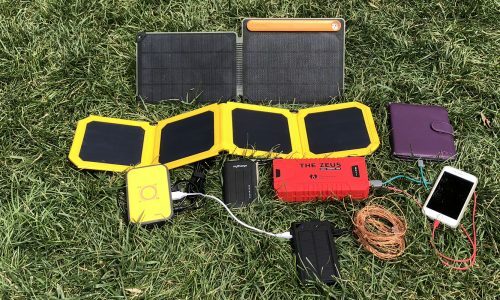 You might not make a separate trip to the gear shop just for those, but little things like these surprise you with the cool ways smartly designed gear can serve multiple functions. Then there’s the items you may never have considered getting for yourself. For instance, Bottle Bright. This is an amazing product that takes skanky old water bottles that have seen a few too many flavor packets left in there for too long or travel mugs with years of coffee residue caked on the walls and lid and turns them practically new again. Sure, you scrunch your nose a little when you’re at home unpacking, or getting ready for a trip when you look in the bottle, but you don’t really think much of it as you pack it away. Now you have the product to fix that right in your hands. You might even use the discount code that comes with each Carin box to stock up on more of an innovative product like Bottle Bright that you never realized you wanted. Consider how often you should be updating your first aid kit but don’t. Somehow, probably for most of us, those little items we need to replace in our kits don’t make the shopping list and that gets dangerous when accidents happen. And while you packed your first aid kit, it doesn’t help if you don’t have what you need in it. On a less urgent note, little things like sunscreen, lip balm and other types of lotions are nice to have but again may not make the list. When it shows up in the mail, you have it and you’re ready to go. Trail food and snacks can be a challenge for many of us. There are so many bars, mixes, snacks, and meals out there to choose from. The idea of buying one of each at the store could work, but then you need to eat them all on the same trip to get through them so they don’t end up just sitting around. Nearly every Cairn box comes with some sort of tasty, pre-screened snack or meal to take along. If you like it, Carin makes it easy to order more at a discount with the code included in the box. In fact, this is true beyond just the food. Nearly everything you get in the box comes with a discount code to get more from that brand. Get more for yourself or as gifts to friends now that you know you like something and can recommend it. Now, what if you’re looking to give an avid outdoors person a gift? The biggest obstacle is to believe they have everything already. The Cairn box is perfect for just that person. It doesn’t matter if they already have a headlamp, you just hooked them up with a new one. And in many instances with gear, it never hurts to have a backup of a few key items lying around. Extra gear is perfect for loaning out, getting someone new to backpacking kitted up and/or at the ready if one gets lost or breaks. 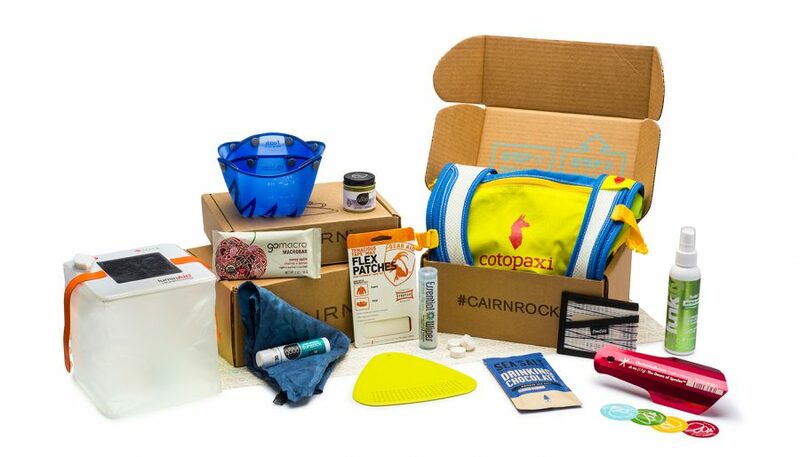 It also gives the person you’ve gifted a Cairn box to the opportunity to be a great giver of gear themselves. If they get something they don’t want or need, they can simply gift it along to someone else. It’s the gift that keeps on giving. Oh, they already have a subscription to Cairn? Easy. Extend their subscription. Granted, there are a number of ways to get gear at a discount. You can buy used gear, but the trade off is it’s used. That’s usually fine for outerwear or gear like packs, tents or dry bags. But some folks might be a little squeamish about slipping into someone else’s base layers, trusting a used water filter system or even a used sleeping bag. And you probably want to avoid buying any consumables (food, lotions, etc.) at a used gear shop. That’s a real wild card. Then there’s the route of scouring the web for deals on sites like The Clymb or Steep and Cheap, but there are often stipulations like buying at a certain time or keeping track of where you can actually get a better deal. If you’re into spending more time on your computer or phone, this could solve that. But most of us want to get away from the screen and out into the wild. Cairn gear just shows up and the standard Cairn box, even at its most expensive individual price of $30 always has at least $50 worth of gear in it. Sign up for a year-long subscription and that per box price goes down even further making the deal that much greater. 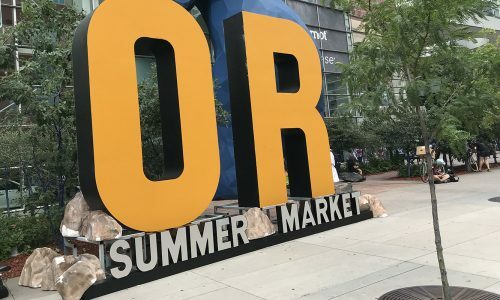 Beyond all the great gear at a good price and the surprise of getting a gift in the mail each month, Cairn rewards users for providing reviews about the gear they get. Each review you write earns you Cairn points which can be applied to more gear. And every month there’s an Adventure Upgrade. One randomly selected Cairn subscriber will get a bonus item. In the past these have included rooftop tents for your car or truck, sleeping bags, tents, bicycles and more. The team at Cairn is always hard at work building relationships with your favorite brands to find more great gear to upgrade your kit. And the best part? The next box is always on its way.